Adventures in Movies! Podcast Episode 6: Make AiM! great again – AiPT! A surprisingly politically charged episode sees Danny and Nathaniel go places they have never gone before-literally. The two discuss the rumored Hulk Hogan biopic and departures to the Marvel Cinematic Universe. The also talk about generational movies. Plus, Danny attends a MAGA rally? That can only lead to good things. Right? The show opens with a talk about Hulk Hogan and Gwyneth Paltrow. The two cinema buddies discuss what they have spent their time viewing as Nathaniel talks about movies that delve into the human mind. Danny reveals the best thing is watched so far this year. The two then entered uncharted territory as a talk about once in a generation films leads into a discussion on politics. The 9/11 attacks, why people no longer maker fun of the military, and how boring today’s generation seems to be. 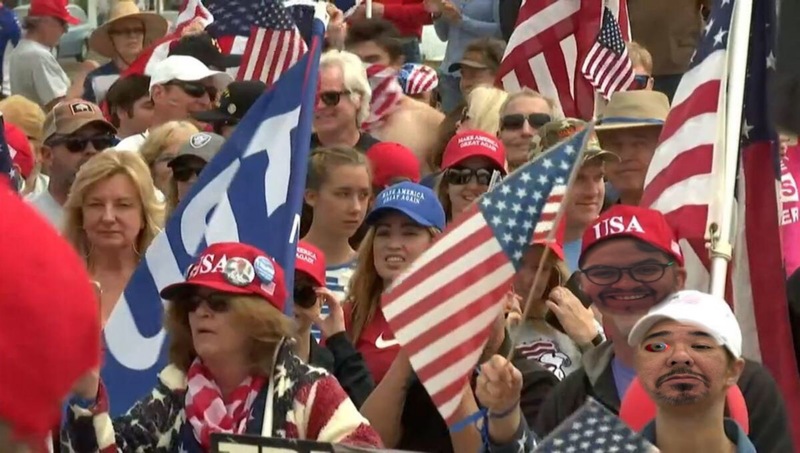 The question is also answered: why was Danny at a MAGA rally? And what happened that upset Nathaniel? Plus, the two discuss plans for their first GIVEAWAY!